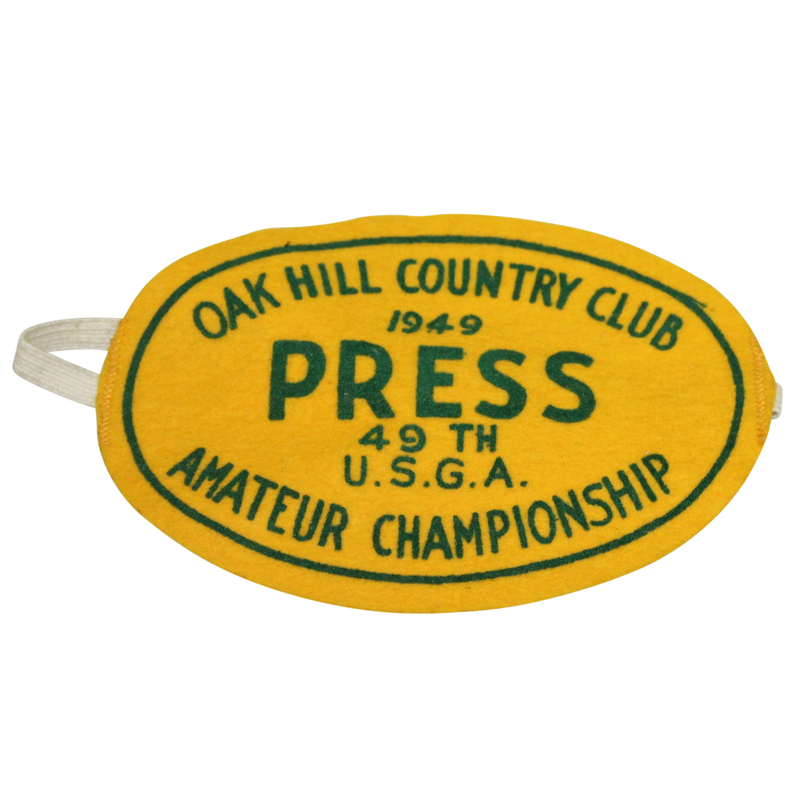 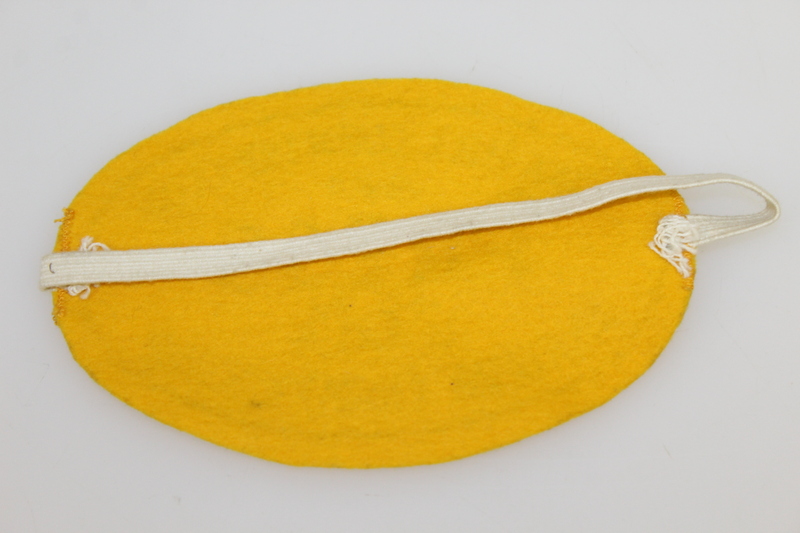 Featured is a 1949 USGA Amateur Championship media arm band. 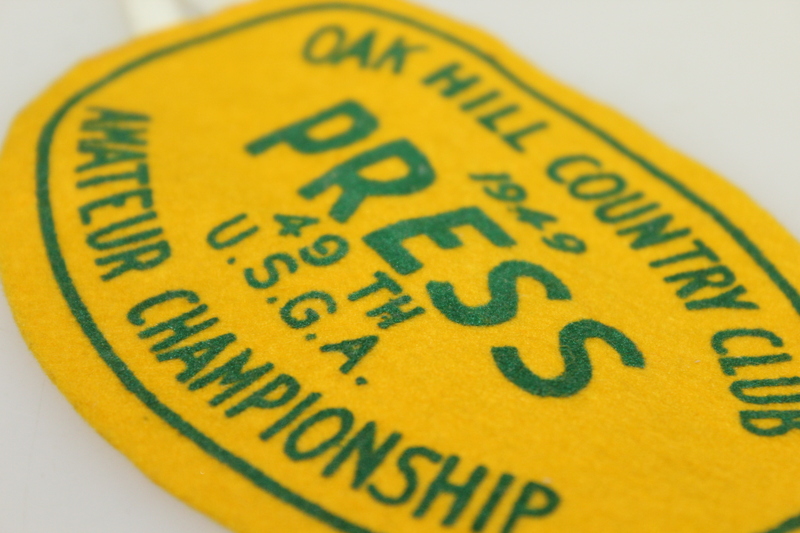 The Amateur Championship was held at Oak Hill Country Club. Charles Coe would capture his first of two Amateur Championship titles.